The global population has grown rapidly while the agricultural production environment of food supply is suffering from uneven development between urban and rural areas, rural traditional culture loss, degradation of agricultural production and ecological environment and food safety crisis due to the impact of modernization, climate change and conventional farming methods. Application of massive fertilizers and pesticides reduces the biological diversity and brings about the degradation of ecosystem services; climate change makes rainstorms and droughts more frequent and intensive, which negatively affect the agricultural water supply safety as well as the water quality. Faced with such situation, the agriculture in advanced countries has already been working on ecologically friendly agriculture while Taiwan is just in the starting phase. 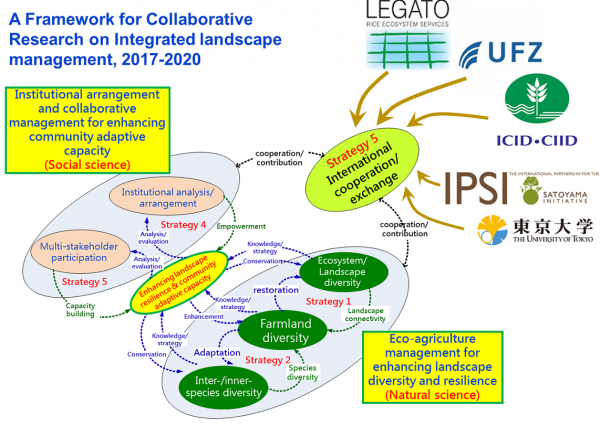 In order to promote ecoagriculture and sustainable rural development with the help of international cooperation, this integrated project will especially learn from the idea of ecosystem services and agrobiodiversity, develop innovative policy, strategies and measures suitable for landscape-scale and community-based farming in line with relevant international instruments through taking part in IPSI, IUCN and LEGATO project (Land-use intensity and Ecological Engineering – Assessment Tools for risks and Opportunities in irrigated rice based production systems). Increase the diversity and resilience of agricultural production landscapes (HDARES, NTU, and MDARES). Research the current situation of agricultural landscapes resource and the situation of landscape fragmentation in east and west of Taiwan. Study the impact of different farming methods on the agricultural biological diversity of paddy fields and create the index database for in east and west of Taiwan. 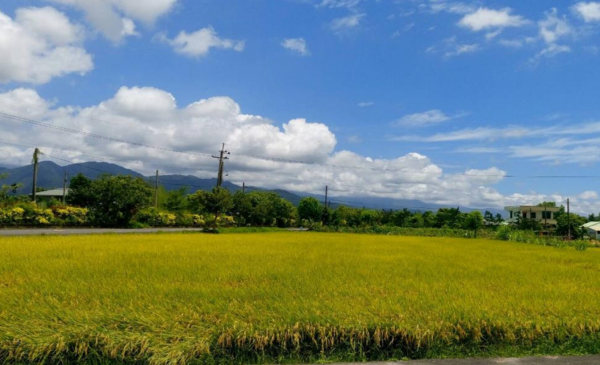 By means of international communication, study the ecosystem service and assessment technology of the paddy fields and landscapes in east and west of Taiwan. Establish paddy fields and landscapes for other crops to increase the diversity of habitats. Increase agrobiodiversity of paddy fields and enhance ecosystem services by habitat restoration within and surrounding the farmlands (HDARES, NTU, MDARES, and CTCID). Create diversity and abundance of the pests and their natural enemies on the paddy fields. State the connection between biological diversity index and the quality and quantity of rice. Test the influence of habitats management on the food chain (net) on the paddy fields and state the operating mechanism. Conduct the survey measurement on micro climate of paddy fields, active radiation of photosynthesis and rice sampling. Figure out the water demand difference of crops on the paddy fields under ecological engineering and conventional farming. Enhance adaptive capacity of rural communities through collaborative planning and multi-stakeholder participation (NDHU and NTU). 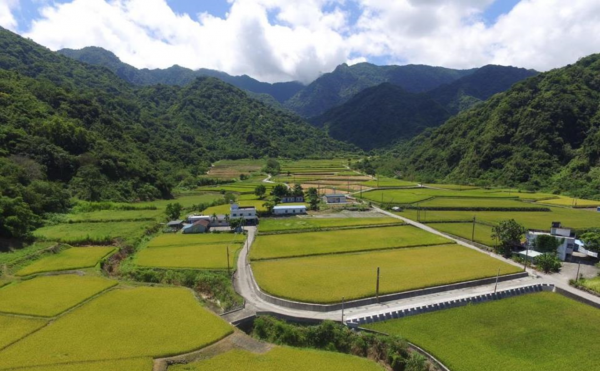 Choose case study areas with satoyama-like, satoumi-like and satochi-like landscapes in eastern and western rural Taiwan; conduct participatory action research for increasing adaptive capacity of rural communities. Develop feasible frameworks for planning and management of community-based ecoagriculture development. Explore relevant international policies for promoting ecoagriculture in Taiwan (NTU and CTCID). Analyze the international policies and strategies of ecological agriculture and grasp the dynamic trend. Analyze the differences between the ecological agriculture policies and strategies at home and abroad and put forward the coping strategies. Analyze the water resource changes in specific situations and put forward the restoration and management measures of coastal wetlands so as to improve the efficiency of water control. Through international communication, develop innovative method for water management during dry period. Learn from innovative international technology and practices and contribute Taiwan’s experience to international societies (HDARES, NDHU, NTU, and CTCID). Hold international seminar to share the experiences on the implementation of ecological agriculture policies and strategies so as to establish cooperative mechanism. Conduct training in the form of workshop on the practice, case and tool of ecological agriculture strategies. Interview the internationally famous ecological agriculture program execution organizations and establish follow-up cooperation. Enhance the quantity and energy of academic activities among organizations and countries, display the research achievements and become outstanding in the international field. Create the index database of biological diversity on different paddy fields and landscapes, and understand the mutual impact between the paddy biology and surrounding landscapes so as to provide information for the pest control of epidemic prevention units and farmers. Through this it indirectly helps the farmers reduce 20% of pesticide because of the construction of ecological environment. The paddy field living environment can increase the diversity and abundance of beneficial insects for one to two times, thus maintain the ecosystem service and indirectly increase farmers’ harvest on the crop production. Create agricultural biodiversity index and provide the monitoring results of the specified species to policy makers for them to make environmental management measures suitable for the situation of agriculture, which indirectly increases the public’s awareness on protecting the environment by 10%. Complete the analysis on the irrigation water volume of paddy fields under ecological engineering and conventional farming; develop localized intelligent irrigation methods which are suitable for water resource and ecological environment; make production policies for planting suitable crops on suitable fields; apply systematical automatic monitoring equipment to improve the strategies of water-use efficiency and the harvest on crop production. Provide the above strategies to competent authorities like the Department of Irrigation and Engineering and the agricultural and food agency for them to conduct the implementation. Provide relevant test research institutes to promote environmental management system. With the planning method of landscapes orientation and diverse parties of rights and interests, assist three rural communities planning and implement the ecological-agriculture-based leisure agriculture tour through various forms such as ecological and cultural tourism, ecological agriculture education and interpretation and farm experience, which indirectly facilitates the job opportunity of the community (activate the human resource of the community) and other relevant benefits. Establish the ecological agriculture cooperatively management model suitable for the rural areas in east and west of Taiwan and the resilience index monitoring tool of the agricultural production landscapes, which indirectly promotes and implement this concept in three communities and increase the community’s support to this value. Develop innovative method for water management during dry period of the agricultural ecology in dry seasons at home; research the water environmental changes under different situations so as to put forward the restoration and management measures of coastal wetlands as well as the measures for rational utilization, and the advice which facilitates the contingency management units such as the Department of Irrigation and Engineering to improve the efficiency on comprehensive water control. Annual Project Progress Reports will be submitted to the Council of Agriculture and will be available online (in Chinese). We will be keen to share important findings and progress to IPSI Secretariat and relevant conferences and workshops.